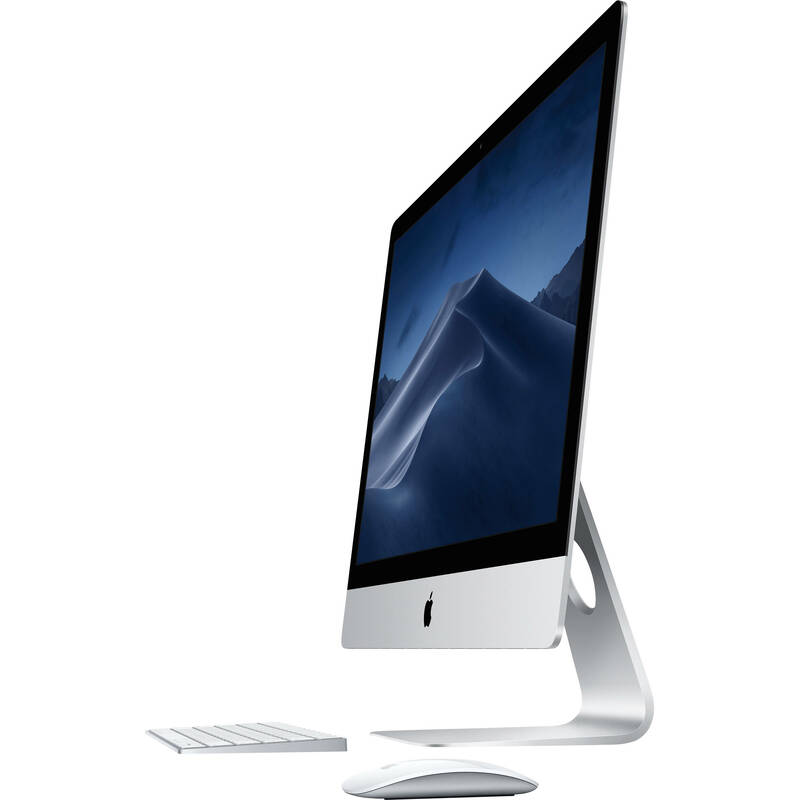 The iMac's processor has been upgraded and now houses a 9th-gen 3.7 GHz Intel Core i5 Six-Core processor that can be overclocked up to 4.6 GHz, as well as 8GB of 2666 MHz DDR4 RAM in a 2 x 4GB configuration that can be upgraded to 64GB by using a 16GB module in each of the four SO-DIMM slots. Visuals are powered by a dedicated AMD Radeon Pro 580X graphics card with 8GB of GDDR5 video memory, and for storage, there is a 512GB PCIe SSD. Apple's 27" iMac with Retina 5K Display (Early 2019) operates using 100-240 VAC at 50-60 Hz and includes an Apple Magic Keyboard , an Apple Magic Trackpad 2, a Lightning to USB Type-A cable, and a power cord. Protection is provided by 90 days of complimentary technical support and a limited 1-year warranty, which can be extended by purchasing AppleCare+ for Mac. Magic Trackpad 2 and Magic Keyboard pair with iMac and come included in the box. If you're looking for extra functionality, Magic Mouse 2 is sold separately and offers some additional options.